With a dated website and a lack of strong content, Harbour Group needed a way to differentiate itself from traditional private equity companies. The St. Louis-based firm has acquired companies in over 40 industries, but that experience didn’t show through their assets. Harbour Group sought a digital solution that leveraged its operationally-focused mindset while communicating to potential partners its integrity and ability to add value. 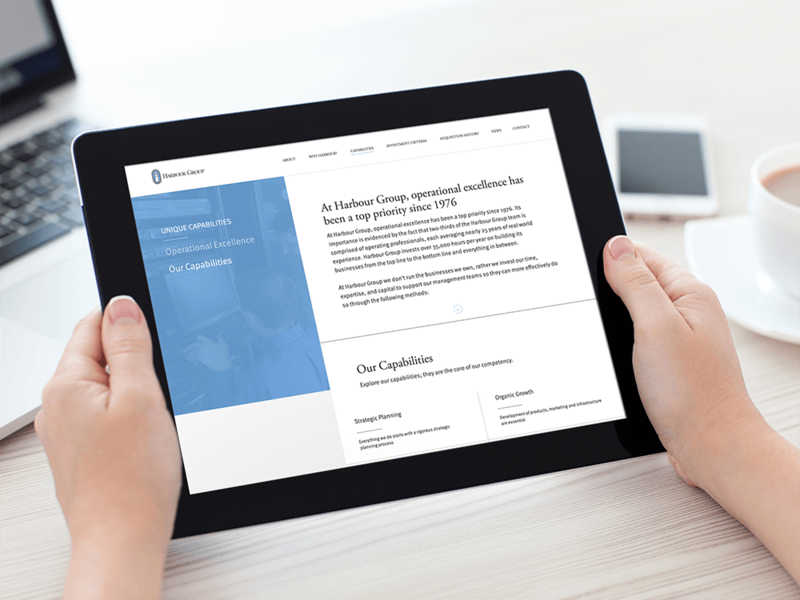 To distinguish Harbour Group from the crowd, we built their new site using a unique 70:30 split screen approach for content and imagery. This layout transitions easily between screen sizes for a smooth, responsive experience. 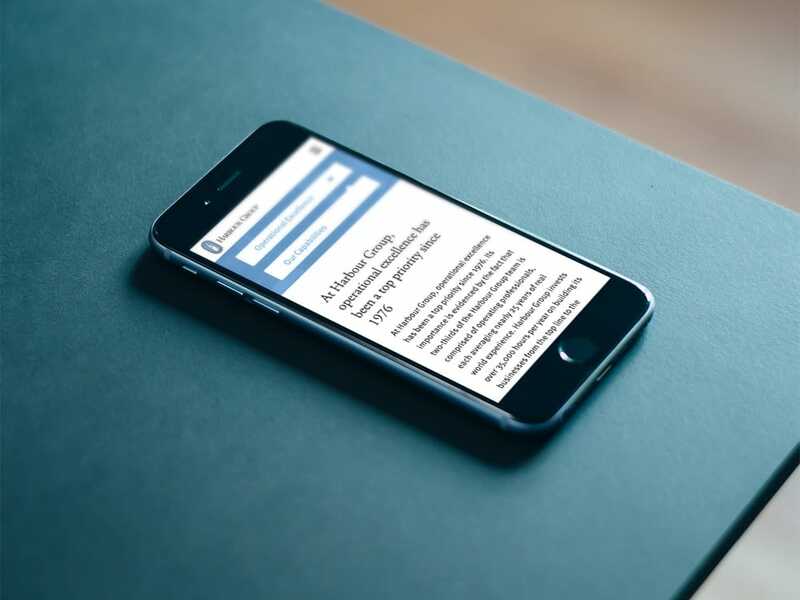 Our interactive filters for content-heavy sections like investment criteria, news, and acquisition history, help visitors easily navigate pages. Testimonials, stylish typography and enhanced portfolio company photos make the site impactful for visitors.